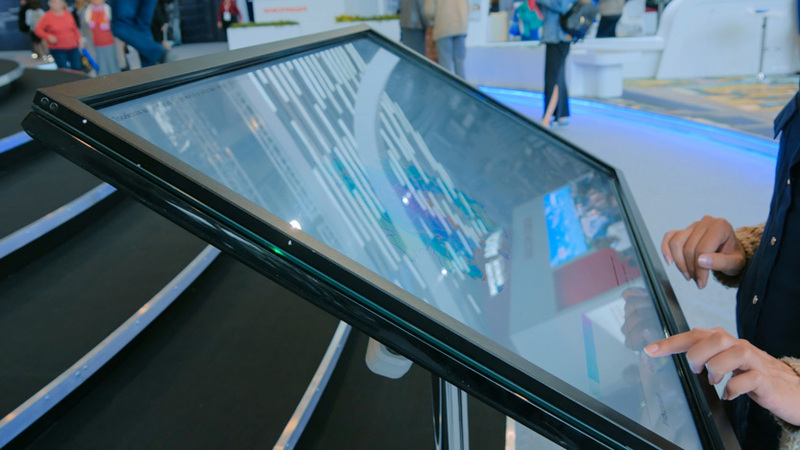 Maximize your exhibit investment with an interactive kiosk that can attract visitors, keep them engaged, collect data, allow for custom follow-up and increase sales. At your next event, put trade show lead capture and analytics tools to work for you in your unique interactive kiosk. Interactive kiosks are popular due to their ability to provide unique experiences for each visitor. They are fun and engaging, can be customized for each event, such as accommodating for multiple languages and don’t need to be attended by an employee. But don’t stop short when designing your interactive kiosk. Be sure to build in trade show lead capture capabilities; after all that’s a key reason to invest in the show and a main reason why you are presenting. To increase your lead captures, be sure to include digital content that has value to your users. Videos, animations, spec sheets and photos are a few great examples of content that your visitors would be likely to engage with. Visitors can’t be expected to remember all they saw and don’t want to carry around a stack of literature. But you can provide a great aide to your visitors by developing an interactive kiosk with a built in fulfillment feature that allows visitors to send your digital content to themselves and share it with their team. It’s a win-win as your visitors get the information they want delivered to their in-box, and you get valuable sales leads. These leads can be captured in a variety of ways such as a business card photo capture or badge bar code scan or an input form or survey. These can also be more effective if you offer incentives such as a simple prize or entry into a drawing. Take it one step further and consider adding analytics to your trade show interactive. Analytics can inform you which products and services are of most interest, what type of videos viewers are looking for, how much time visitors spend with your kiosk and other useful user information. Next:Why Use an Interactive Kiosk?